The number of passengers using BAA's six UK airports increased by 3.8% last month compared with January 2010, the company has announced. Heathrow put in a particularly strong performance, with numbers surging 4.6% to 5.05 million. This was its highest January figure since 2006. The airport also recorded its strongest long-haul performance ever, helping to boost the passenger numbers for January 2011. The marked rise was also linked to the snow disruption which hit the airports in January 2010, leaving thousands of passengers delayed or stranded and facing a possible claim on their travel insurance policy. 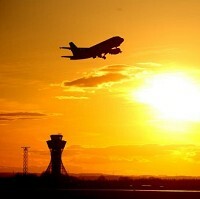 A total of 7.5 million passengers passed through the six airports in January 2011. Stansted airport passenger numbers fell 5.8% last month, but Edinburgh was up 13.6%, Aberdeen rose 9.1%, Glasgow increased 8.0% and Southampton had a 4.8% rise. European scheduled traffic rose 2.7% while North Atlantic numbers increased 3.2%. Other long-haul routes rose 4.5%, including increases of 30% on routes to China and rises of 10% on Indian services. The rise follows the troubled month endured by BAA in December 2010, when the company faced criticism for the long delays for Heathrow passengers trying to get away for Christmas during the early-winter bad weather.